Mr. Kong Chee Min (“Mr. Kong”), aged 53, was appointed as the Chief Executive Officer of our Group in August 2011 and is responsible for overall management of our Group’s operations and the implementation of business strategies and the long term growth objectives approved by our Board. Mr. Kong joined our Group in March 1996 and was appointed a member of the Board on 28 March 2000 until he stepped down on 8 May 2015. Prior to Mr. Kong’s appointment as our Group’s Chief Executive Officer, he was the regional chief executive officer and finance director of our Group. He also assisted Mr. Lee Kerk Chong in managing and driving the strategic development and growth of the Group’s optical disc business. Prior to joining our Group, Mr. Kong was the accountant of General Motors Overseas Distribution Corporation, a company principally engaged in the sales and distribution of motor vehicles, motor vehicles parts and accessories since April 1994. He was an audit senior at Cooper & Lybrand, an accountancy firm, from June 1991 to April 1994. Mr. Kong obtained a degree of Bachelor of Accountancy from the National University of Singapore in July 1991. He is currently a member of the Institute of Singapore Chartered Accountants (formerly known as the Institute of Certified Public Accountants of Singapore). Mr. Lee Kerk Chong (“Mr. Lee”), aged 68, is the founder of the Company (formerly known as SM Summit Holdings Limited). He served as chairman and chief executive officer from 31 March 1984 to 1 August 2011 and as a member of the Board since 31 March 1984. He retired from the Board on 28 April 2015 but retained his executive role in managing the optical disc business segment. Mr Lee retired as the executive director of our Group’s optical disc business with effect from 1 January 2019, after overseeing the strategic planning and overall management of the Group’s optical disc manufacturing operations for more than 30 years and having grown the business from a single factory producing audio cassette tapes into an integrated optical storage media solutions provider in the region. Mr. Lee is the brother of Ms. Lee Geok Ing, our Group’s human resources and administration manager. Mr. Bin Hee Din, Tony (“Mr. Bin”), aged 60, is primarily responsible for the strategic planning and overall management of the Group’s accommodation business. 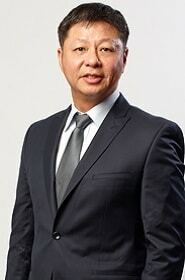 Mr. Bin joined Centurion Properties Pte Ltd (“Centurion Properties”) in 2007 as its Chief Executive Officer. In 2018, he stepped down as its CEO, but remains as a director. Centurion Properties is a subsidiary of Centurion Global Ltd, the ultimate controlling shareholder of the Company. He was appointed a member of the Board on 1 August 2011 and stepped down on 8 May 2015. Mr. Bin has been managing the accommodation business since 2008. Prior to joining the Group on 1 August 2011, he was an Estates officer at the Housing & Development Board from 1984 to 1987. Thereafter, he was the marketing manager at Tong Eng Brothers (Pte) Ltd., a company principally engaged in property development and investments, from 1987 to 1989. Thereafter, Mr. Bin was in the financial industry for 10 years: as a vice president in Real Estate Finance at United Overseas Bank, one of the largest local commercial banks from 1989 to 1997. Thereafter, he joined Societe Generale Asia (Singapore) Ltd., a financial institution, as vice president of Capital Markets from 1997 to 1999. 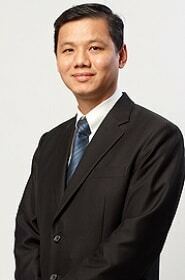 From 1999 to 2007, he joined the Guthrie GTS group, a company on the Mainboard of SGX-ST as chief operating officer of Heartland Retail Holdings Pte. Ltd, a company principally engaged in property investments from 1999 to 2007; as general manager at Guthrie Properties (S) Pte Ltd, a company principally engaged in property development and investments and concurrently as general manager at AsiaMalls Management Pte Ltd, a company principally engaged in provision of real estate services from 2002 to 2007. Mr. Bin obtained a degree of Bachelor of Science (Estate Management) from the National University of Singapore in June 1984. He is the brother-in-law of Mr. Loh, Non-Executive Director and controlling shareholder of the Company. Ms. Foo Ai Huey (“Ms. 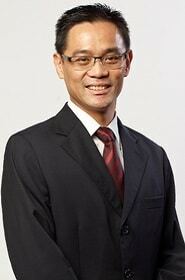 Foo”), aged 50, was appointed as the chief financial officer after the Group enlarged its principal business activities to include the Acommodation Business. She was previously the Group’s Finance Manager when she joined in April 2000. Currently, she heads the finance team and manages the full spectrum of finance and management reporting requirements. Prior to joining our Group, Ms. Foo was a senior accountant at MOH Holdings Pte. Ltd. (formerly known as Health Corporation of Singapore Pte. Ltd.), a company principally engaged in the provision of healthcare services and had also worked as an internal auditor in a Singapore listed Company. Ms. Foo has accumulated more than 26 years of finance and accounting related experience covering internal audit, taxation, internal control, financial accounting, cost and management accounting in the accommodation, manufacturing, service and healthcare industries. Ms. Foo obtained a degree of Bachelor of Commerce from the University of Newcastle, Australia in May 1992. She is a member of the Institute of Singapore Chartered Accountants (formerly known as the Institute of Certified Public Accountants of Singapore) since 31 August 1996, and a Certified Practicing Accountant of the Australian Society of Certified Practicing Accountants since 12 September 1994. Ms. Lee Geok Ing (“Ms. Lee”), aged 57, was appointed a member of the Board on 11 August 1994 and became the Human Resources and Administration Manager in January 1995. She stepped down from the Board on 18 May 2007 and remains as Human Resource and Admin Manager. She currently oversees the Group’s human resource development and administration. Ms. Lee is equipped with over 33 years of accounting, human resource and administrative experience. Prior to joining the Group, Ms. Lee was the accounts executive at Yong Sing Trading Co Pte Ltd, a company principally engaged in the retail sale of household electrical appliances and equipment from April 1979 to March 1984; and had worked as an external auditor with a local public accounting firm in Singapore. Ms. Lee obtained her GCE Ordinary Level in 1977 from Singapore-Cambridge General Certificate of Education Examination. She is the sister of Mr. Lee, executive Director of our Group’s optical disc business. Mr. Ho Lip Chin (“Mr. Ho”), aged 50, joined the Group in January 2012 as Director, Investments before his appointment as Chief Investment Officer of accommodation business in 2015. He is responsible for growing the Group’s Accommodation Business and assists in the Group’s strategic planning activities. Mr. Ho has over 20 years of experience in the real estate and hospitality industries across the Asia Pacific. Prior to joining he Group, he was Director, Real Estate at Centurion Properties Pte Ltd (a subsidiary of our controlling shareholder, Centurion Global Ltd), where he was involved in its real estate investments and workers accommodation business. From July 2002 to prior to joining Centurion Properties Pte Ltd in May 2010, Mr. Ho worked in a number of companies including those in hospitality and real estate industry. He was a senior vice president of investment of Pramerica Real Estate Investors (Asia) Pte. Ltd., a fund management company principally engaged in real estate investment, from March 2008 until joining Centurion Properties Pte Ltd in May 2010. He was a director at GE Real Estate Investments Singapore Pte. Ltd., a company principally engaged in real estate investment, from February 2007 to August 2007; a Director of Development, Southern Asia from January 2003 to January 2007 at Intercontinental Hotels Group which was principally engaged in managing hotels on behalf of third party hotel owners; a senior associate from July 2002 to January 2003 at HVS International Singapore, a hospitality consulting firm; an investment manager at HKR Asia-Pacific Pte Ltd, an investment holding company, from January 1996 to June 2002; and a management trainee at Shangri-La Hotel, a company principally engaged in hotel operation, from September 1994 to March 1995 and August 1989 to January 1990. Mr. Ho obtained a degree of Bachelor of Science in Business Administration and a degree of Master of Business Administration from the University of San Francisco. Mr. Leong Siew Fatt (“Mr. 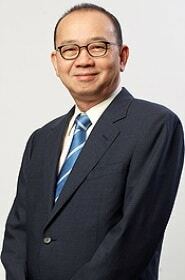 Leong”), aged 52, joined the Group in 1993 as an engineer and is currently Head of Student Accommodation Business. He is responsible for the overall management of the Group’s Student Accommodation Business across the United Kingdom, United States, South Korea, Australia and Singapore. 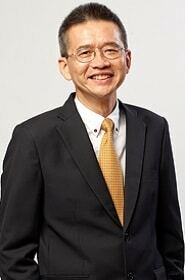 Prior to his appointment as Head of Student Accommodation Business, Mr. Leong was responsible for the operations of the Group’s workers accommodation in Malaysia as well as the technical and manufacturing operations of our Group’s Optical Disc Business. Mr. Leong has extensive technical, operational and management experience spanning over 32 years. Mr. Leong obtained a degree of Bachelor of Engineering Management from the University of Western Sydney. Mr. Yeo Boon Hing, David (“Mr. Yeo”), aged 65, is the Director of Corporate Research and Innovation. He is responsible for the research and identification of new business models, market trends, innovative technologies and opportunities for our Group’s workers and student accommodation business in existing and new markets. He is also tasked to research and make recommendations to venture into any new businesses that align with the growth of the Group. He was previously the Group’s Regional Sales & Marketing Director, responsible for the regional sales and marketing function of the optical disc business. He has a wealth of in-depth sales and marketing experience and management experience in both local and multi-national organisations. Mr. Yeo first joined Summit CD Manufacture Pte Ltd, a Singapore subsidiary of the Group, as Sales and Marketing Director in 1997. Prior to his current role as Director of Corporate Research and Innovation, Mr. Yeo was the Chief Executive Officer of Summit CD Manufacture Pte Ltd overseeing its local operations. Mr. Yeo obtained a degree of Bachelor of Science in Finance and Marketing from the University of Oregon. Mr. Lim Choon Kwang (“Mr. 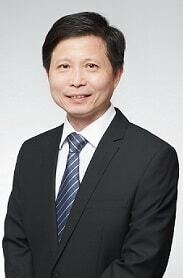 Lim”), aged 50, joined the Group in October 2016 as Director of Security, and is responsible for providing strategic leadership to the Group on security management and business continuity. Mr. Lim has more than 26 years of experience in security and law enforcement in both the public and private sectors, where he last held a regional position as Security Operations Manager with Apple South Asia Pte. Ltd., a company principally engaged in the manufacture and distribution of electronic products from July 2015 to April 2016. Mr. Lim was previously Director of Security Management at Singapore Power, a company principally engaged in the transmission and distribution of electricity and gas from June 2011 to April 2015. Prior to Singapore Power, Mr. Lim was a security consultant in Shanghai as Vice President, Risk Management & Protective Security at Hill & Associates (PRC) Ltd, a company principally engaged in risk management and security consultancy in Asia from July 2010 to May 2011. Mr. Lim also served as Deputy Director of Security at the National University of Singapore from May 2009 to July 2010, whose key achievements include developing a strategic security master plan for NUS. Before joining the corporate sector, Mr. Lim was a Deputy Superintendent of Police with the Singapore Police Force from April 1996 to May 2009, and had held leadership positions in operations, investigations, specialist operations, and training in public order and public security. Mr Lim obtained a Bachelors degree of Science in Banking and Finance from the University of London in August 1995, and a Master’s degree in Security Management from Australia’s Edith Cowan University. He is currently serving as Honorary Chairman in the Management Committee of ASIS International (Singapore Chapter) for 2019–2020.